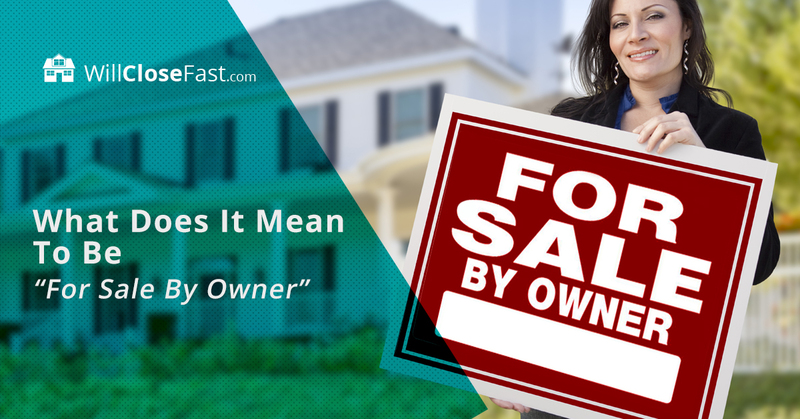 “For Sale By Owner,” or FSBO for short, is a term thrown around a lot in the real estate world – but what exactly does this mean? For Sale By Owner simply means that a homeowner is listing their property for sale without the help of a real estate agent – they are, in essence, their own real estate agent. Real estate agents typically charge around 6% commission for selling your house. So, why do people still use real estates if they are missing out on thousands of dollars? There are a few reasons. Selling a house is hard – and selling a house in poor condition is even harder. While there are websites that help homeowners sell their own houses, there is a lot of prep work if you want to get top dollar. Houses usually do not garner online interest if there are no pictures, so ensuring that your home is picture ready is key. You then need to market your home and make sure people know it’s available. And if your home has lead paint, mold, asbestos, or other conditions, it’ll be even harder to find an interested buyer. Like we said, selling your own home is a lot of work, but you don’t have to pay heavy closing costs to a real estate agent. However, that doesn’t mean everything will be sunshine and profits – and it doesn’t guarantee a sale either. Before you attempt to sell your home without a realtor, be sure you know the true market value of your home. While many realty websites will offer home comparison prices, it may be best to get your home appraised by a professional. Also, you will need to be prepared to work with the buyer’s real estate agent. Oftentimes, a seller will need to pay their own agent a commission, as well as the buyer’s agent. If you refuse to pay a buyer’s agent their requested commission, you might limit your pool of potential buyers to those who are also going realtor-free. Additionally, a realtor can help screen potential buyers to ensure that they meet the requirements to secure a mortgage to buy your house. Without a realtor, you may be on your own for this – meaning buyers might show interest without a way to actually purchase. Interested buyers should have a mortgage pre-approval from a lender. Be ready to market your home. This means taking good pictures, ensuring everything is clean and tidy for showings, and making the time commitment to show your home. Will Close Fast makes FSBO easy. We are a reputable company and are interested in buying your unwanted property. We make sure everything is above the board. Plus, we buy ugly houses, houses with lead paint, and other conditions that turn off potential buyers. We’ll make you a fair cash offer and generally close within a week. If you are wondering, “How much is my house worth as-is,” check out our home value estimator to get started. Contact us today to learn more about For Sale By Owner processes and how we can help you sell your house fast!